Every superhero had to start somewhere! 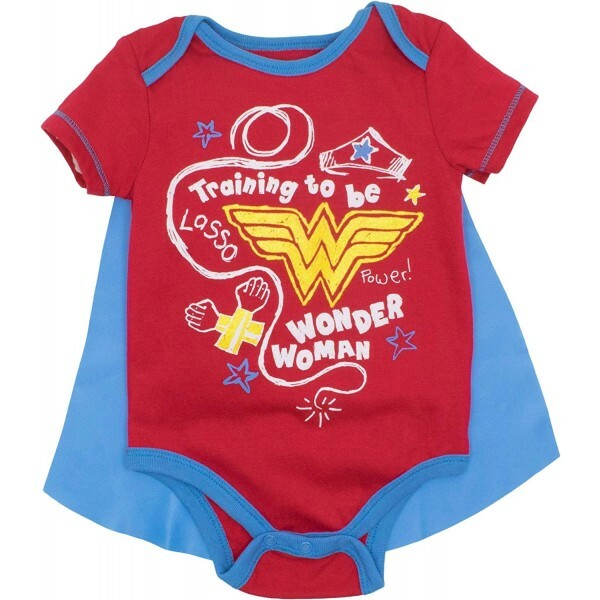 In this cute caped onesie from Warner Brothers, you can remind everyone that she's in training to be Wonder Woman. The soft fabric is easy on baby's skin, and the snap closure and overlap shoulders make it easy to get on and off. The satin-look cape attaches and detaches with Velcro, so it's ready whenever she's in a mood to be super! 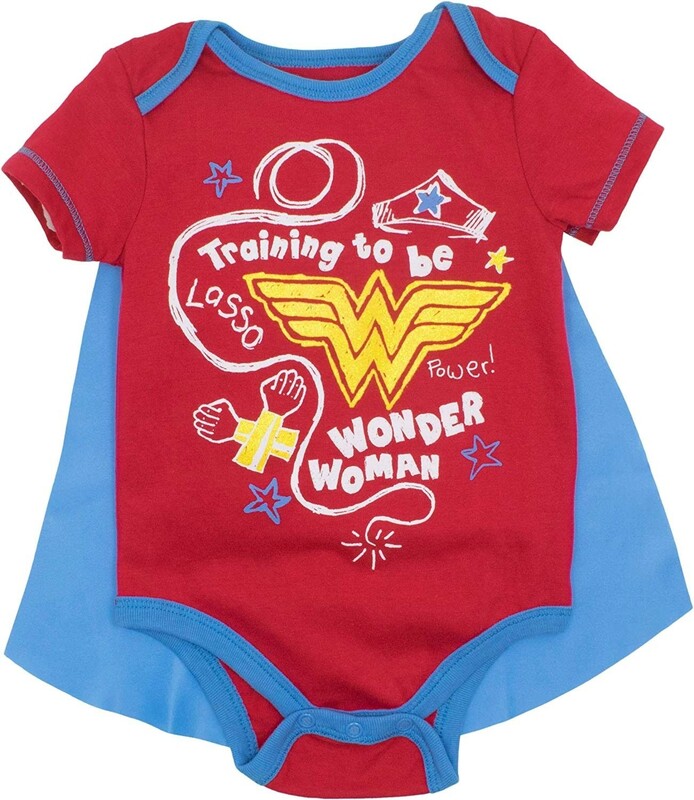 Available in sizes 0-3 months, 3-6 months, 6-9 months, 12 months, and 18 months.